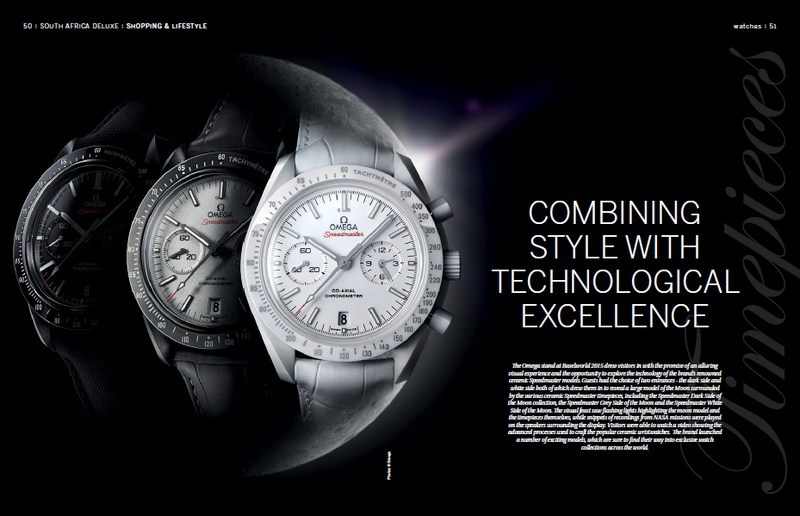 The Omega stand at Baselworld 2015 drew visitors in with the promise of an alluring visual experience and the opportunity to explore the technology of the brand’s renowned ceramic Speedmaster models. Guests had the choice of two entrances – the dark side and white side both of which drew them in to reveal a large model of the Moon surrounded by the various ceramic Speedmaster timepieces, including the Speedmaster Dark Side of the Moon collection, the Speedmaster Grey Side of the Moon and the Speedmaster White Side of the Moon. The visual feast saw flashing lights highlighting the moon model and the timepieces themselves, while snippets of recordings from NASA missions were played on the speakers surrounding the display. Visitors were able to watch a video showing the advanced processes used to craft the popular ceramic wristwatches. The brand launched a number of exciting models, which are sure to find their way into exclusive watch collections across the world.